A tremendous amount of financial loss is incurred every year as a result of premature failures of swimming pool paints. The cost to repair such failures far outweighs the initial cost of swimming pool painting, since having to drain the pool after a short lived swimming pool resurfacing. Additional liability may also be expected if a facility must stop operation for the necessary repairs to be made. 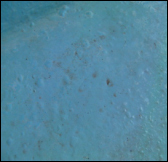 Swimming pool coating failures can occur for dozens of reasons, although they are typically a result of an inferior product; poor application, a defective coating, or an inadequate specification. A determination of the fundamental causes behind coating failures is critical. We will help you find and expose every imperfection regarding your swimming pool. Not only does this help in assigning financial responsibility, but knowing how a coating or substrate has failed is often the first step plan how to fix it. Most sealers or coatings are made to resist water, not to waterproof, read the label on the buckets and review the MSDS data. Some sealers/coatings have a high odor requiring you to move out. Ultraguard is odorless and NO VOC’s. Rubber membrane coatings not only smell and remain tacky but also out gas leaving you with a potentially dangerous environment. Water based coatings break down with water, why would someone waterproof anything with a product that breaks down with water? The hidden TRUTH is…epoxy/EHB, rubber-based, paints and coatings, dry from the bottom up, causing hydration (water, air and metals airing outward), pushing out the new coating that has been applied causing pin holes to appear, and the new coating to de-laminate, flake, peel or blister. The failure of paints that have been applied over concrete, cement, plaster, marcite and gunite is most often due to a chemical reaction between alkali in the concrete and oils in the paint. This reaction is called saponification. 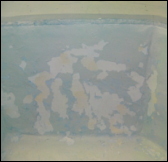 This is the cause of the white film that is found on walls and floors and also the cause of flaking, peeling and blistering of the paint on the surface. 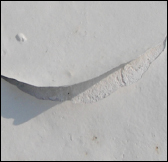 Even in situations where saponification does not occur, adhesion problems, peeling, flaking, chalking and cracking are often still an issue on concrete. 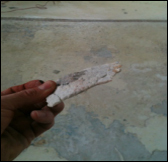 The root cause is still the alkali, lime and moisture in the concrete attacking the paint. 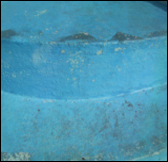 Alkali rich concrete has an extremely high pH, which reduces the bonding strength of most paints, sealers and coatings. Pool paint which is rubber-based is not viable solution because it will only last a few years before it peels and blisters and needs to be done again. Years ago paint was a better solution because it was lead-based and lasted for up to 10 years. 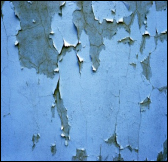 Due to environmental concerns, lead-based paint is no longer manufactured. 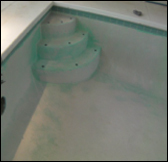 Epoxy pool paint is not a feasible solution because it will begin to crack within 2 to 3 years and it must be done again. Only true 100% solids Super Epoxy can be used for acid containment, water containment and food containment. The chlorine of your pool cannot breakdown Super Epoxy. Do not be misled by other epoxy paint manufacturers that claim they have EHB. 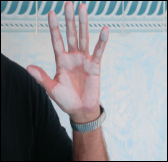 If you wipe your pool and there is chalk on your hand, you have been hornswaggled. Paint products that claim to be EHB coatings. Most paint products have clay products and additives, which are water or oil base. Products, which are based with solvents such as MEK, Acetones or zylenes, usually have a pot life of 3-4 hours. Any coating at time of mixing with a 3-4 hour pot life is paint and positively not an EHB. Any product that needs to be heated or a solvent added to it usually will break down and oxidize in a short period of time and will chalk. If a product contains over 20 percent powders such as some epoxy paints they are not true 100% solids and contain too many powders which will cause flaking and delamination. Some can have up to 68% powders, which will never stand up to any kind of water containment. Epon epoxy resins are for floor applications, which a lot of companies use for pool coatings, and they will not stand up to chlorine chemicals. Any product that is water based also is usually a paint product. 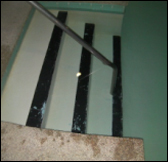 Steps are one area of the pool that has major wear and tear due to patron traffic. This is not the ideal area to have a 2 mil coating. Only industrial coatings have any longevity. 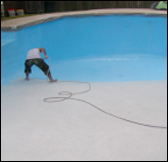 The easiest way of knowing if it is a true epoxy high build coating and not the typical epoxy paint, is to find out how long after applying you can add water to your pool. If you must wait 5 to 7 days and be concerned about rain or humidity you know it is paint. If it is called paint do not apply on swimming pools there is a reason it is called paint. Paints and coatings are always a temporary application. A true polymer product will be thick, but not thin like water that is why paints and epoxy paints have only a 2-mil application. When you add solvents it destroys the true molecules of the product and turns it into paint, which is now a porous finish. Any porous finish will never last more than 2 or 3 years before it starts to fail. 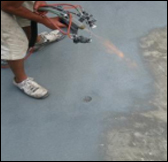 Pool coatings applied via airless or plural sprayer may achieve proper penetration but fail to achieve millage thickness required to provide durability and longevity. Numerous coats will need to be applied and overtax your budget.